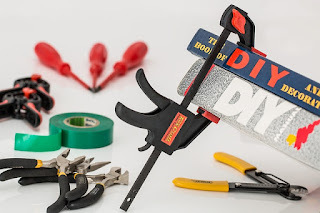 Do-it-yourself projects in home improvement are a major trend across the world. Homeowners and renters want to be able to make upgrades to their home without breaking the bank. Done correctly, a home improvement project improves your home, increases its value and leaves the do-it-yourselfer with a sense of accomplishment. Done incorrectly, however, and you’re left with an expensive mess to clean up. Here are three common home improvement projects that commonly get messed up. A do-it-yourself plumbing project can save you a lot of money over hiring a plumber, but only if you do it right. There’s a reason plumbers get paid what they do; they know what they’re doing. Fails in a home improvement plumbing project can be small like hooking up your hot and cold water sources backward or damaging your new fixtures and having to replace them. Unfortunately, they can also be catastrophic. Imagine working on your second-story master bathroom and breaking a water line. Water leaks into your flooring, insulation and the first-story ceiling. When all is said and done, you find yourself contacting a professional for water damage mitigation Brevard county. Concrete work is another home improvement project many people decide to tackle. They’ll attempt projects like pouring a concrete path, deck slab or even a driveway. Concrete work is more difficult than many people think it is. The ground has to be graded to a certain angle. You need a subbase, reinforcement and perimeter form. Once poured, the concrete must be tamped down, floated and sealed. There are a lot of steps, some technical, and it can be easy to mess them up. Done incorrectly, your concrete may look good but allow water to pool in front of your door. The worst-case scenario is your project is inspected by the county who deems it not up to code and you have to tear it out and start over. Flooring work often seems like it can be easy to do yourself. Flooring, however, is an exacting process. Maybe you’re installing new tile in a particular pattern. You finish the project and look down in pride, only to notice one tile is rotated 45 degrees. Now there’s a glaring error in your pattern. Perhaps you install your laminate flooring and it looks great. Then you walk across it and one of your tiles slides out of place, leaving a quarter inch gap. Done incorrectly, you’re going to have problems you either have to live with or re-do. Before tackling a home improvement project learn how complex it is, know your capabilities and weigh if you can live with a botched job or the cost of a re-do.